Conveniently located in Lembang, Kastuba Resort is a great place to explore vibrant city of Bandung. Only 9.6 km from the city center, the Resort's strategic location ensures that guests can quickly and easily reach many local's point of interest. With its convenient location, the hotel offers easy access to the city's must-see destinations. The layout of the villa, built from wood and extended on high stilts, were so well arranged and scattered in its large area of natural beauty. From the balcony, over looking the tree top, the view of a mountain and the city of Bandung from the villa will give you romantic feeling embraced by the cool night breeze. 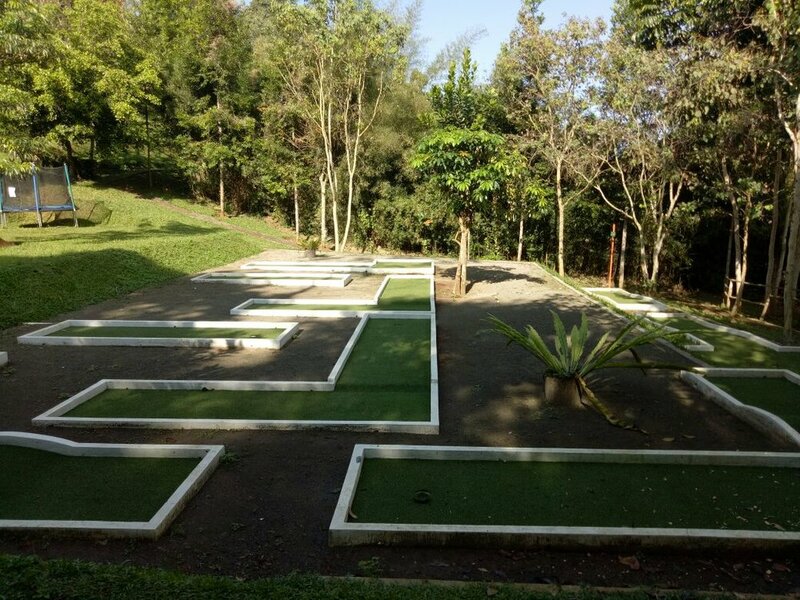 We facilitate several outdoor physical activities such as mini golf, playgrounds, and table tennis. But, if you're looking for a relaxing time reading books, you can also visit our mini outdoor library. We have a private meeting room that can accommodates 100 people. If you are interested in a small gathering, Kastuba Restaurant has recently opened and have a capacity of 60 people. Feel free to contact us to know more about these facilities and we will be happy to arrange things for you.